Emaar Properties, the global property developer, closed on-line registration for its newest residential project in Downtown Dubai, The Address Residence Sky View, in less than one hour following massive investor interest. 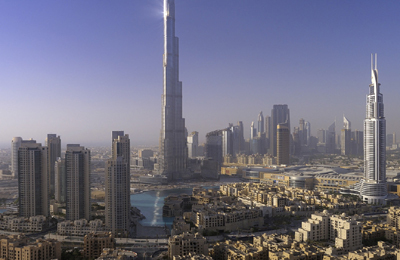 Emaar.com recorded visitor traffic from more than 75 countries, and the sale in Dubai will be open only to those who have registered on-line, and on a first-registered, first-served basis on March 2, a company statement said. The overwhelming investor registrations for The Address Residence Sky View follows sell-out response to Emaar’s new project launches including The Address The BLVD, the first branded hotel real estate offered in Downtown Dubai, and The Address Residence Fountain Views I & II – all located in Downtown Dubai, the most prestigious square kilometre on earth. Ahmad Al Matrooshi, managing director, Emaar Properties, said: “The phenomenal customer interest in The Address Residence Sky View is another strong testament to their growing confidence in Emaar’s development credentials and Dubai’s property sector. At a height of over 230 metres, The Address Residence Sky View is the latest addition to The Address Hotel + Resorts’ portfolio and a flagship property for the brand. All 532 serviced apartments are fully furnished and designed to ensure optimal light across all living spaces and with floor-to-ceiling windows that offer stunning views of Downtown Dubai or the Gulf. The striking 50-storey hotel, residence and serviced apartment twin-tower complex atop a grand podium, features a unique ‘Sky Bridge’, which includes a signature restaurant, infinity pool with amenity deck, offering 360-degree vistas of Downtown Dubai and panoramic views of the Gulf. The sales event for The Address Residence Sky View is being held simultaneously in Dubai and Riyadh. Potential customers for the Riyadh launch only have to visit Four Seasons Hotel Riyadh, Kingdom Centre, and will be offered purchase opportunity on a first come, first served basis. Only legal residents of Saudi Arabia will be eligible to purchase from Riyadh.